Me: I’ll be leaving the day after tomorrow. Ammi: What! You said the queue at the embassy was too long and you came back without a visa. I thought you weren’t going. Me: That’s true. But they will give me a visa when I get there. Ammi: Who are you, Obama? The airline check in counter and the immigration desk at the Islamabad airport, as expected, weren’t aware that you can get an on arrival visa in Kenya. Took some explaining but I’m through. Nairobi immigration desk is more chill about Pakistanis than the Pakistani guys at Islamabad airport. Didn’t ask a single thing and granted the 90-day multiple entry visa on arrival. 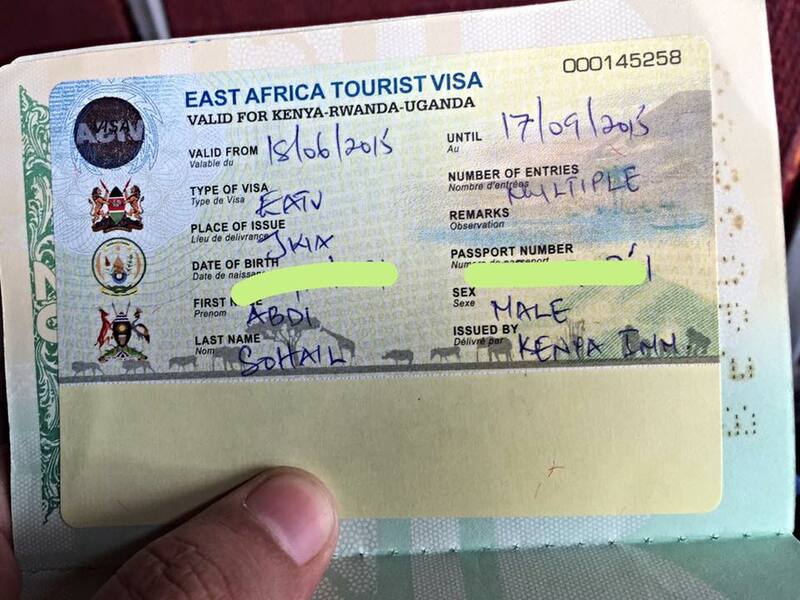 This, East African Tourist Visa, is a new visa type that lets you enter participating countries multiple times within the 90-day period. By bus, by foot, or by air. With this on my passport, I now can enter Kenya, Uganda, Rwanda, Tanzania, Zimbabwe, Mozambique, and Madagascar. That’s probably going to be the itinerary for this trip. Won’t lie, I kind of want to spend at least a month in each.